There really should be a limit as to how passionate a football fan should be. Yes, it’s okay to trash talk – but no, it’s NOT okay to start throwing punches like these fans did prior to the FA Cup Semifinals clash between Man United vs Everton. The video appears to depict an Everton fan brawling with a Man United fan before a third fan comes out of the crowd to join in. As you can see, fists started flying between the three fans, with one of them apparently falling to the ground in the final second of the short video. Well over a dozen fans formed a circle to keep the violence contained. Everton are seeking their first FA Cup title since the 1994-95 season – the last time the Toffees won any silverware. 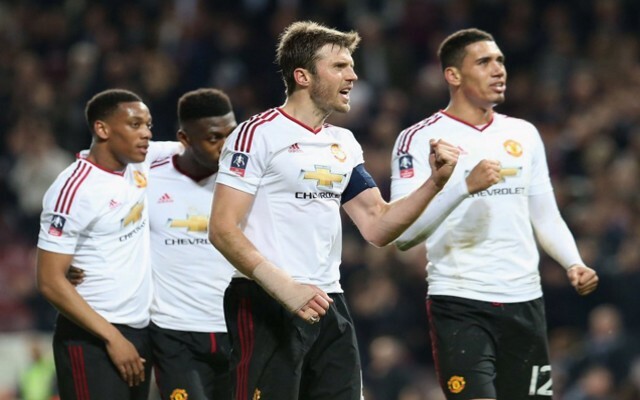 Man United, meanwhile, are seeking their 12th FA Cup title, with the most recent coming from the 2003-04 season.